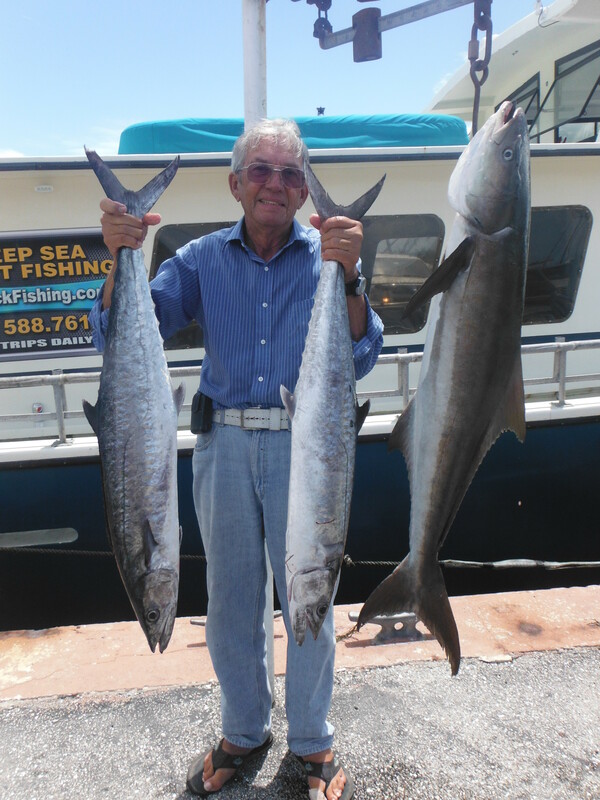 VIP angler Lee bagged a limit of King Mackerel and a 48 pound Cobia while fishing during a morning trip near the end of May. 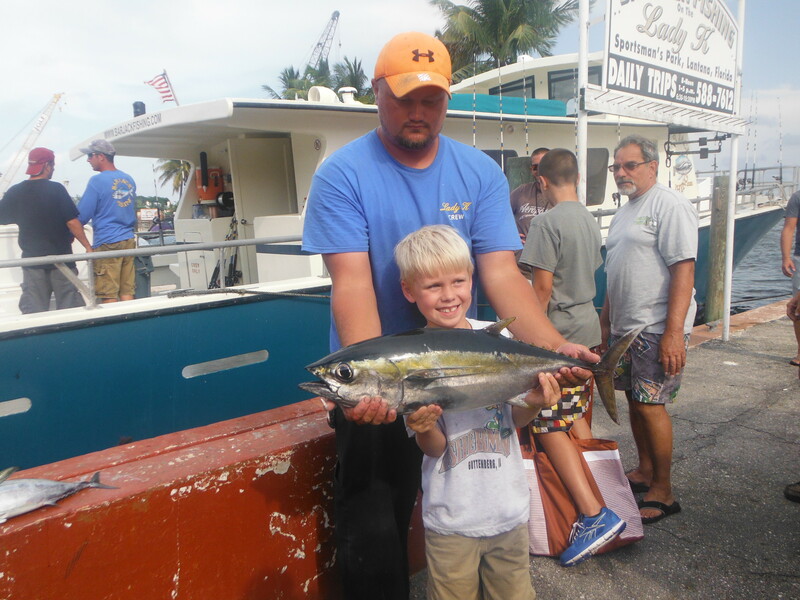 He caught the cobia using a 12 pound spinning outfit while fishing for Yellow-tail Snapper. Another impressive catch Lee, keep up the good work! Lady K mate Jeff gives a hand to help a junior angler display a nice Black-fin Tuna caught during a rainy May afternoon. Now is the time for anglers to try their luck at landing one of these hard fighting fish. 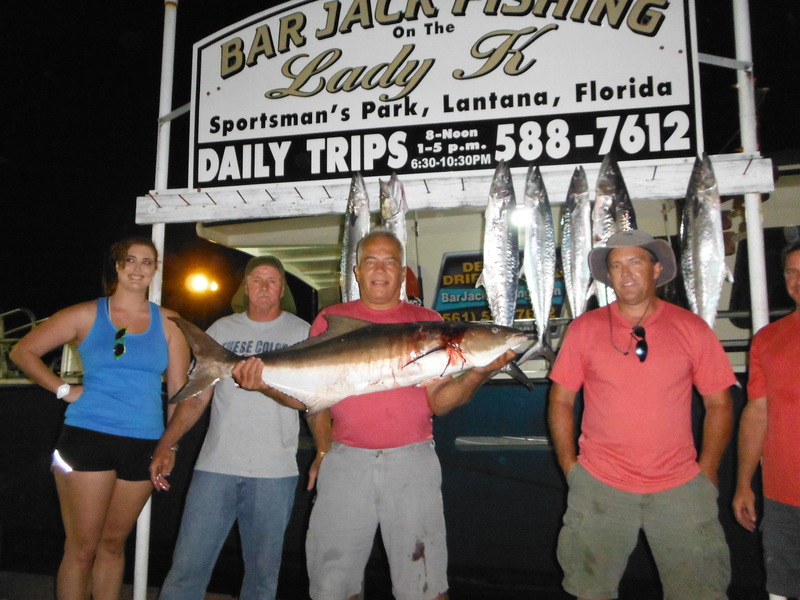 Night time anglers caught these nice King Mackerel and VIP angler Fredd was very happy to bring home a 49 pound Cobia caught on the 1st of June. There have been quite a few large fish hooked during the evening trips but beware of the hungry sharks looking to make an easy meal of your catch. 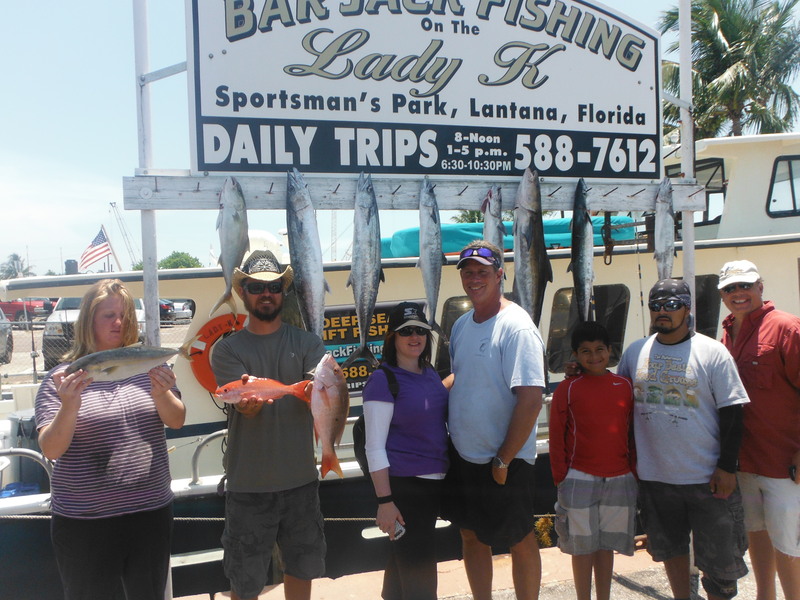 Another afternoon trip produced Cobia, King Mackerel, Yellow-tail Snapper and other bottom fish. The smiles say it all! 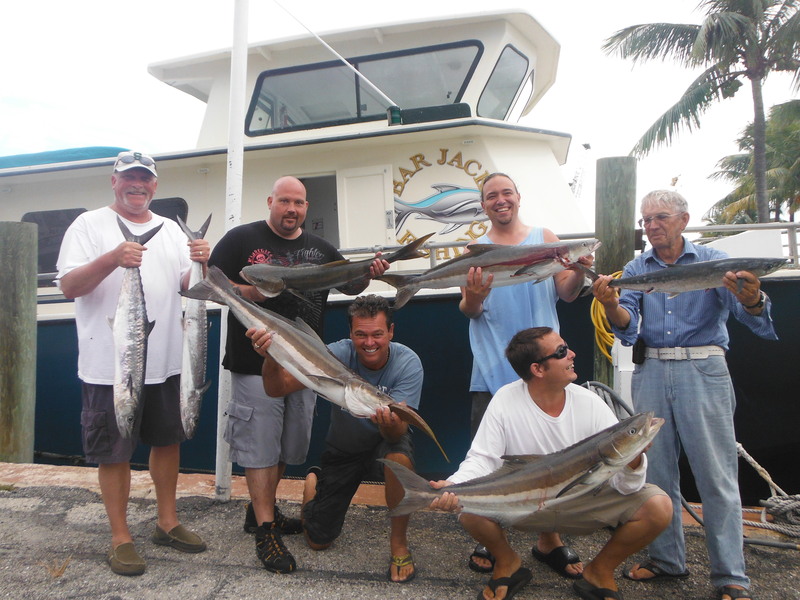 A June morning trip with Black-fin Tuna, King Mackerel and Cobia being the heavyweights of the trip. Other anglers also bagged Vermillion Snapper, Red Porgies and Gray Triggerfish. 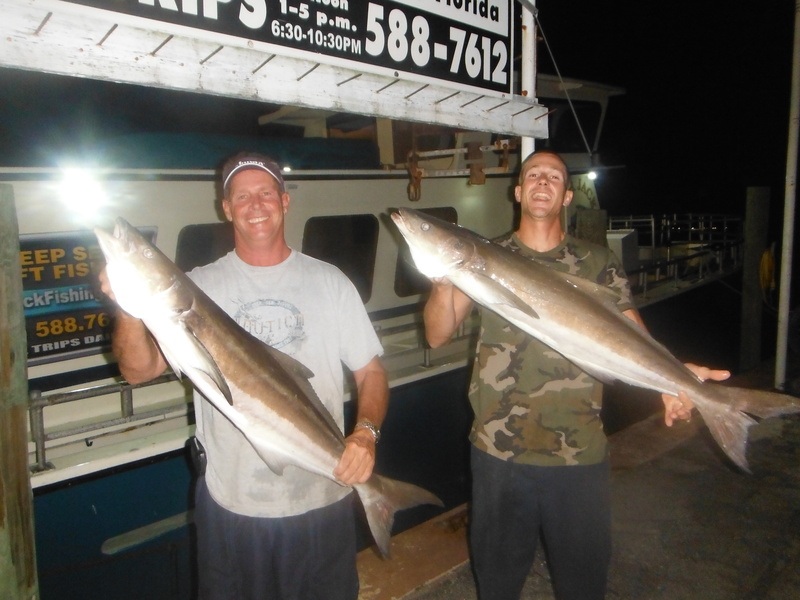 VIP anglers Johnathan and Brandon show off their night-time Cobia. 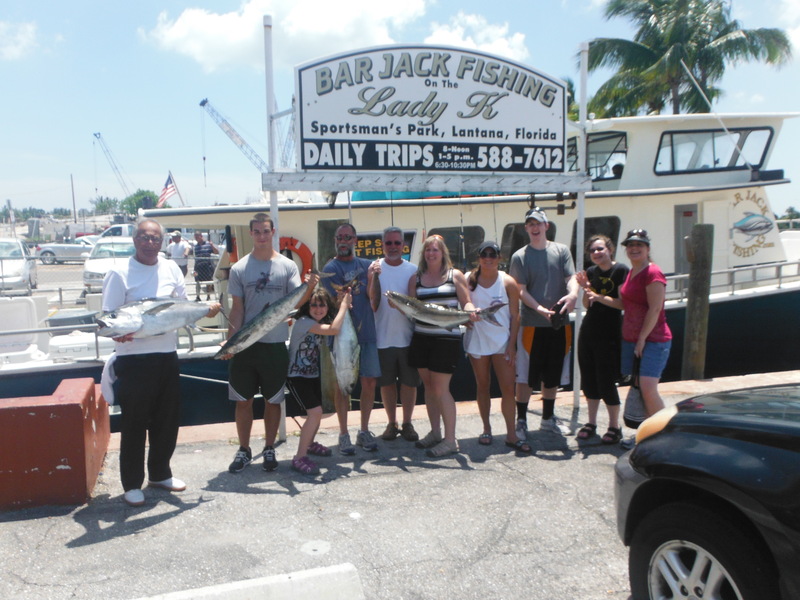 Other anglers brought home snapper and King Mackerel during the trip. With the summer heat preparing to come on full force, night fishing is the coolest trip and with the evening trip leaving at 6:30 pm, it makes fishing convenient for anglers after working all day. Summer-time is just around the corner and the Lady K is sailing three trips daily. No reservations are needed. Tickets are sold in the new marina store, Bar Jack’s Fish Tales, your one stop shop for everything you will need while on your four-hour offshore excursion aboard the Lady K. Anglers can even have their catch cooked for lunch at the Kona Bay Cafe after a morning filled with sunshine and fresh ocean air. Gift cards are also available for Father’s Day, the perfect gift for the very special man in your life!